Originally posted by Nick Thompson on Facebook. Did you know that Norfolk County has the highest diversity of plant and animal species in the country? That’s one reason Norfolk is the perfect setting for Nature’s Calling Forest School, an amazing environmental education program for kids that helps them learn all about the great outdoors. I braved the cold to talk to Colleen Dale, co-founder of Nature’s Calling, to get an inside look at how learning in nature can contribute to the health and happiness of our children (and our planet). Check out the video and see how getting the kids to put down their devices and look up at the trees can really make a difference. NCEE is actively seeking a board director to provide leadership, focus governance, decision-making and support to matters pertaining to program development and operations of our organization. Position details and instructions to apply are here. This September Nature’s Calling Environmental Education (NCEE), a registered not-for-profit charity, will launch a brand new education program In Norfolk County – a Forest Kindergarten for 3 to 6 year olds. This educational approach (most commonly referred to as Forest School ,is an educational approach, and program of delivery, that was developed in in Denmark and Sweden in the late 1950s Today hundreds of these unique schools can be found throughout Europe, as well as China, Australia, New Zealand, the United States and Canada. The concept is to have students learn outdoors – weather allowing – in all 4 seasons. The learning environment is characterized by regular and repeated access to the same natural space, as well as emergent, experiential, inquiry-based, play-based, and place-based learning. All subjects and disciplines are covered: in any given moment an experience can cut across math, science, art, literature, physical education, etc. A Forest School is often described as a “magical” thing to witness, as it’s often a microcosm of collaboration, communication, trust building, and a working model of consensus building. Skilled educators plan their lessons at the end of a session, (also known as “backwards lesson planning”), and will know what curriculum standards they need to meet on any given day. The learning outcomes are based on real-time explorations and experiences, rather than pre-determined concepts in books or on screens, done within the four walls of a classroom. The Forest Kindergarten program will be led by Colleen Dale, an experienced Early Childhood Educator, who has worked for 15 years in outdoor education in provincial parks, at the Backus Heritage Conservation Area, and with NCEE. She is currently completing her Forest School certification. The Forest Kindergarten will be located at Delta Waterfowl’s Hunting Heritage and Conservation Centre at 546 Turkey Point Road. The property has woodlands, meadows and open areas to explore, as well as a large communal fire pit, pavilion and indoor classroom (in cases of inclement weather). Classes run 9 a.m. to 4 p.m. every Tuesday, Wednesday and Thursday from September 25th to December 21st. Nature’s Calling Environmental Education (NCEE) has been operating in Norfolk County for almost 10 years to reconnect children and families with the natural world. Their outdoor school programs have received high praise from teachers and parent volunteers for their uniqueness and focus on local environment and issues. Their collaboration with Shadowland Theatre on the outdoor theatre production, Spirit Walk and Spirit Walk 2 was attended by hundreds of people. And their Eco-Explorer Summer camp regularly has 20 to 30 day campers attend. Have you been looking a local philanthropic cause that will help both children and nature? Nature’s Calling Environmental Education (NCEE), an active local charitable organization, needs a permanent home base to deliver its engaging nature outreach programs to children and families throughout our community and beyond. This summer NCEE found just the place – a 25-acre property in Norfolk County that has everything it needs. A piece of Carolinian paradise, the location has been lovingly cared for by a local conservationist. It has open sand barrens, a mature woodlot with extensive trails, two large ponds, a house and barn, and a cabin with look-out tower. It’s a place where kids will learn and love nature – but it comes with a price that NCEE simply cannot afford alone. The organization already has a fund-raising campaign in place to convert the residence into an outdoor learning centre and for other improvements, such as a natural play park and native plant gardens. However, to acquire the property outright, NCEE needs a patron or corporate sponsor, to acquire the property on their behalf. Patrons will receive a charitable receipts their contribution. NCEE began life in Norfolk County 2009 as Kids for Turtles with a basic mandate to re-connect children with nature. In 2012 the organization was incorporated as Nature’s Calling Environmental Education (NCEE) and in 2014 received charitable status. 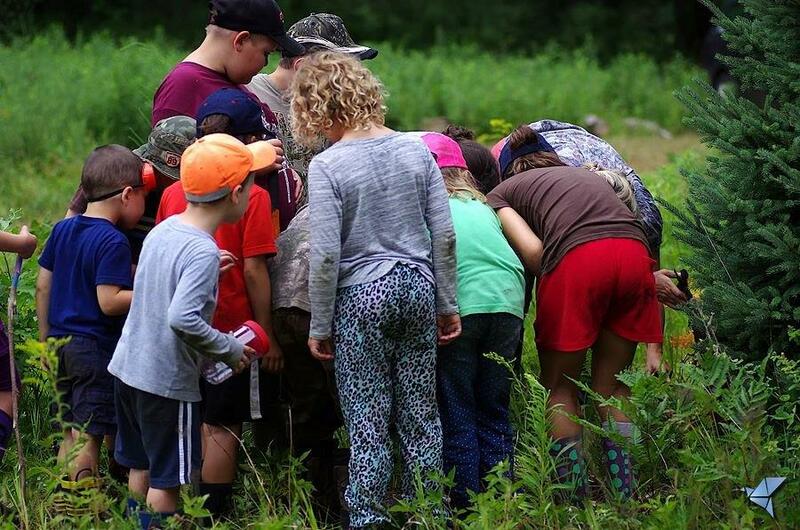 Today, NCEE is well-known by local families, teachers, campers and others for delivering some of the most captivating educational and fun outdoor and nature programming not only in Norfolk County, but surrounding areas. With a mission to “connect youth and families with nature and the outdoors, to raise awareness and appreciation for our natural world, and to foster a strong environmental ethic through community-based education and engagement”, NCEE’s appeal is broad. 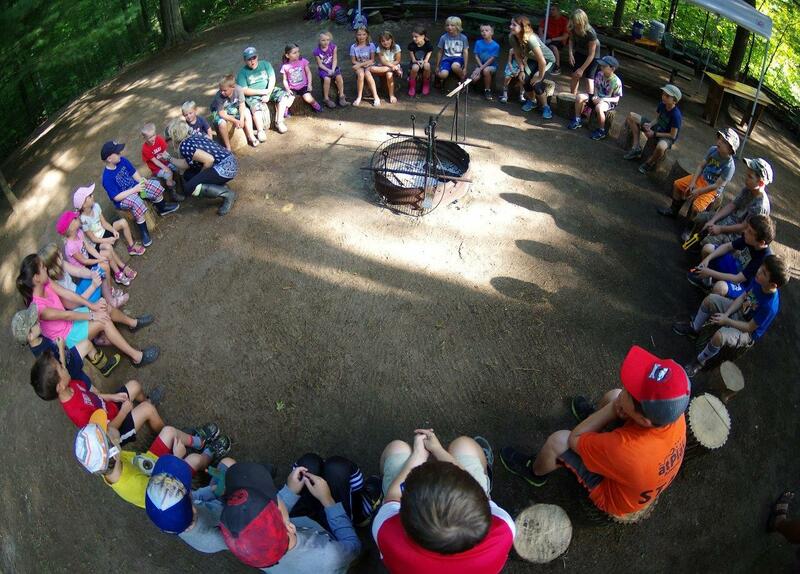 Innovative and educational programming that stimulates passion for the outdoors in all ages has made the organization an important cornerstone in our region of southern Ontario. NCEE’s Nature in the Classroom and Lessons in a Backpack programs have garnered enthusiastic praise from local teachers. The first brings nature and the environment into the classroom. The latter sees teachers bring students into outdoor classrooms, such as local woodlots and local farms. All programming is inquiry-based and follows the Ontario curriculum guidelines. Additionally, NCEE contracts with local provincial parks and private campgrounds to deliver interpretive programming during the summer months, as well as organizing local shoreline cleanups, bird box building bees, family hikes and more. In 2013 and 2014 NCEE presented Spirit Walk, an outdoor theatre event held at the St. Williams Forestry Interpretive Station. More than 300 people took in the show each year. With the addition of Robin DeCloet, their new lead Environmental Educator, NCEE was able to offer a summer long Eco-Adventure Camp in 2016. The camp, held near Walsh, was an instant hit. As word spread about the camp, the number of children attending sky-rocketed. Kids spent their days in the forest and participating in games, hikes, nature study and story-telling. SIMCOE – Nature’s Calling, the group that runs kids outdoor programs, plans to buy a country property with a house and turn it into a retreat and possibly a unique alternative school. Executive director Bernie Solymar said a site near Walsh has been found and the group needs a supporter to buy it for them. The price tag is $500,000. But getting someone to step up is not that far-fetched given the property – with its 20 acres of maintained woods plus ponds, trails, and open spaces – fits in with the mandate of local land trust groups that are buying up tracts of land for preservation. The plan, said Solymar, would be to turn the house into a learning centre with classrooms, washrooms, and storage. His organization, he said, would raise the money for the renovations. The centre would host the school programs Nature’s Calling now does at other locations with elementary students and give the organization a permanent home. In the long run, Solymar said, the site could host a full-time private school, based on a model from Denmark, where almost all learning goes on outdoors. This type of school is ideal for kids with learning disabilities such as ADHD, he said. “They would learn the curriculum, but it would be outside,” said Solymar. “When you are outside it’s a different stimulus. When you get these kids in the woods, they change. Their focus is better. Their interest is piqued. Nature’s Calling has grown in recent years and this summer ran a day camp at the site it wants to buy. The Walsh property, he said, is “amazing” and “has all kinds of possibilities.” Other uses could include week-long camps, summer camps, a site for spring break programs, and a destiny for university field courses. Two land trusts, the Long Point Land Trust, and the National Conservancy of Canada, are interested but have other projects on the go right now, said Solymar. “We’re educating our youth. We’re getting back to nature. It’s everything everyone supports,” he said. There is one other advantage to funding a permanent home for Nature’s Calling. “It’s a legacy thing. The property is named after them,” Solymar noted. Anyone interested in helping Nature’s Calling can contact Bernie Solymar at 519-427-9969 or email info@naturescalling.ca. © 2013 Nature's Calling Environmental Education. Site by Guardian Computing.